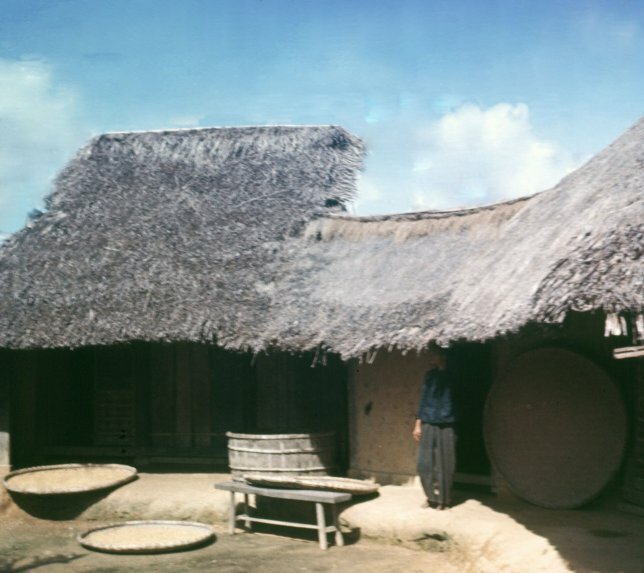 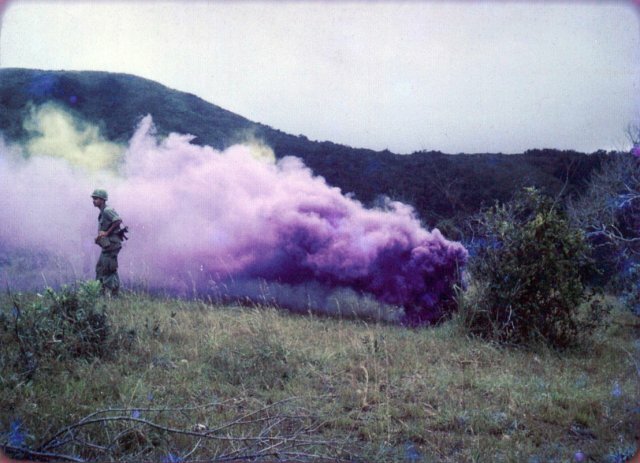 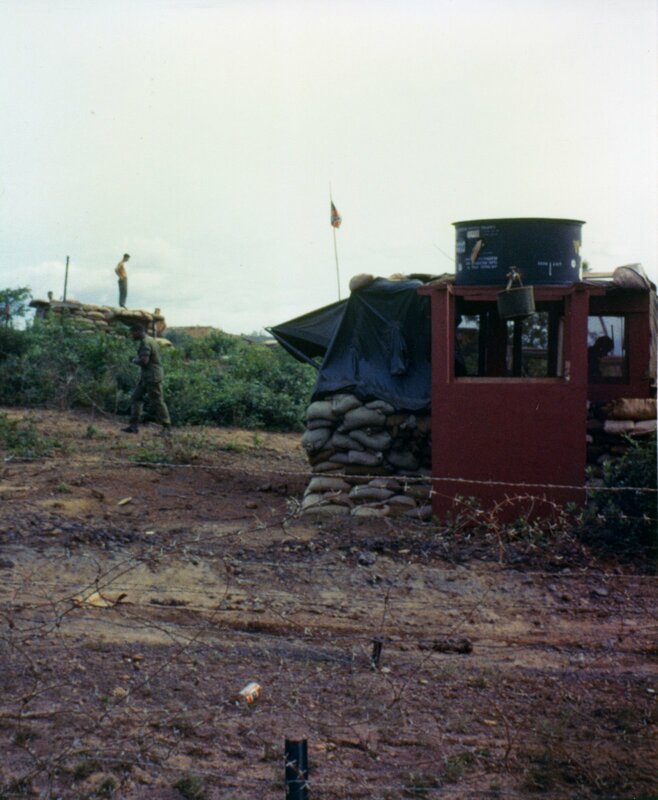 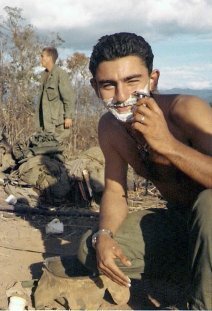 These photos were taken of Bravo Company during our operations on the Bong Son Plains. 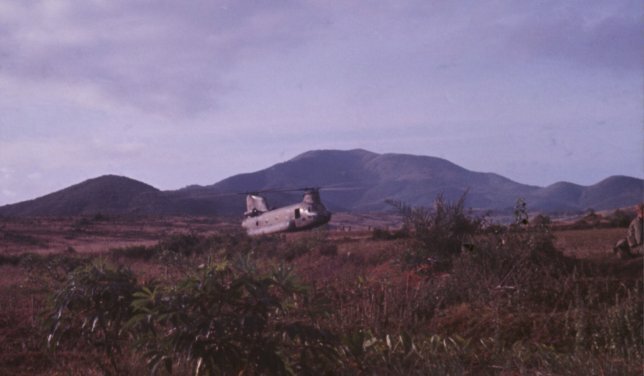 operation over Bong Son in 1967. 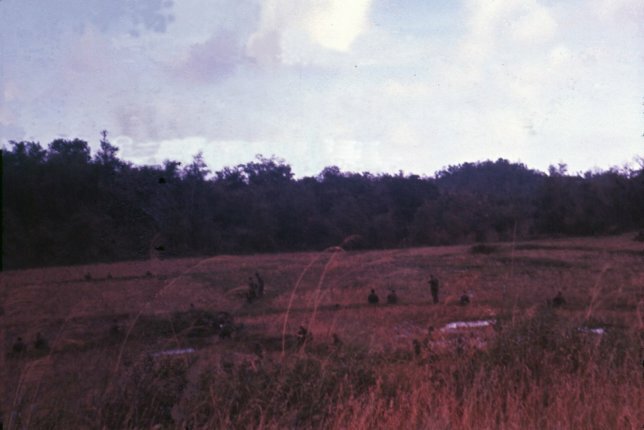 The following four photographs show the sequence of a combat assault with Bravo Company. 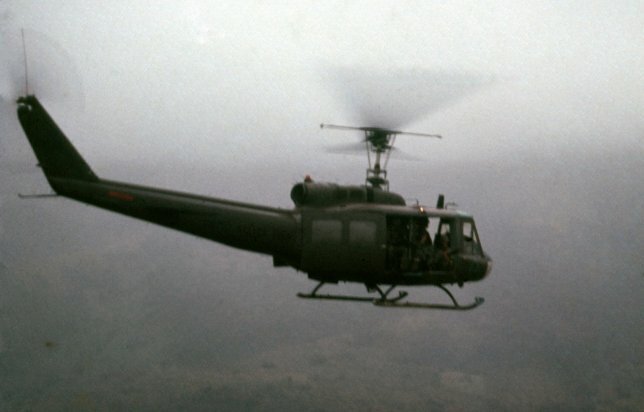 Here is one of the six Hueys with Bravo Company on a combat assault mission (Jan 68). 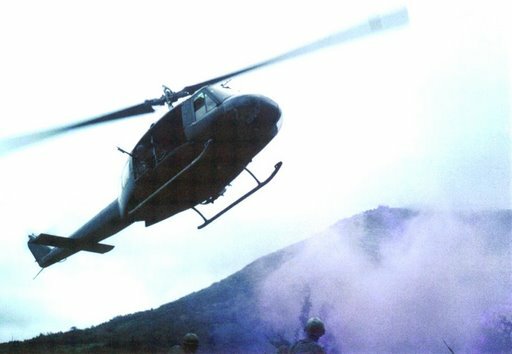 Bravo Company troopers off loading Hueys at the landing zone (Jan 68). 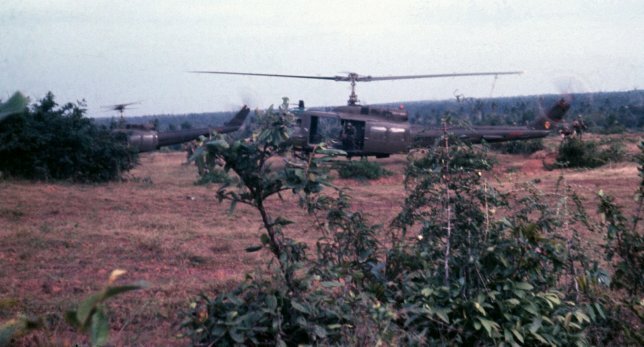 The remainder of Bravo Company arriving by one of the three Chinooks required to transport our unit (Jan 68). 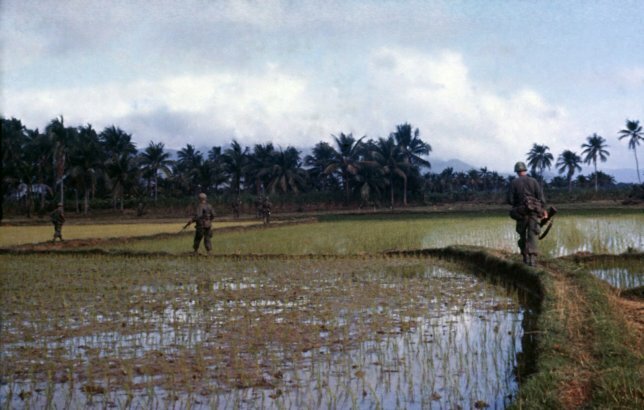 Bravo Company moving on rice paddy dikes (Jan 68). 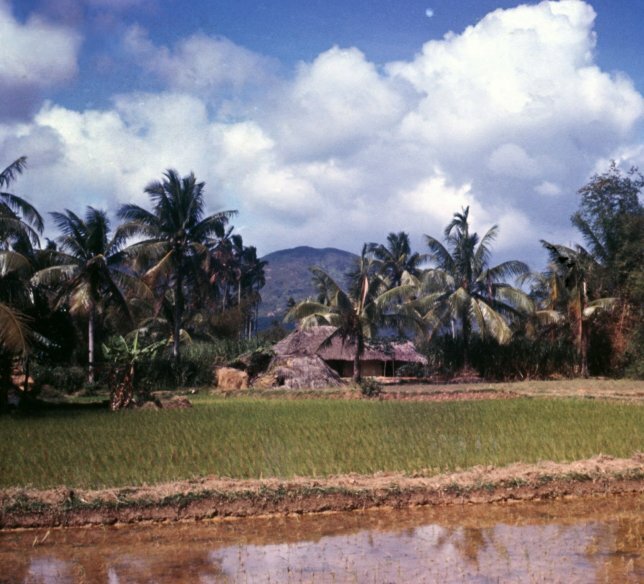 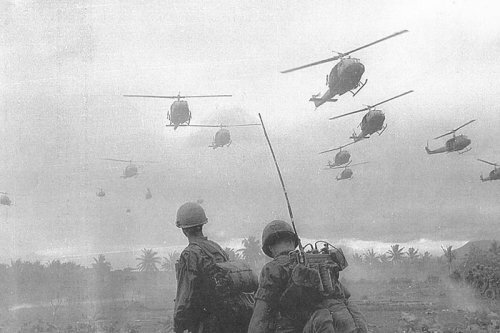 Bravo Company approaching a typical Vietnamese hamlet on the Bong Son Plain (Jan 68). 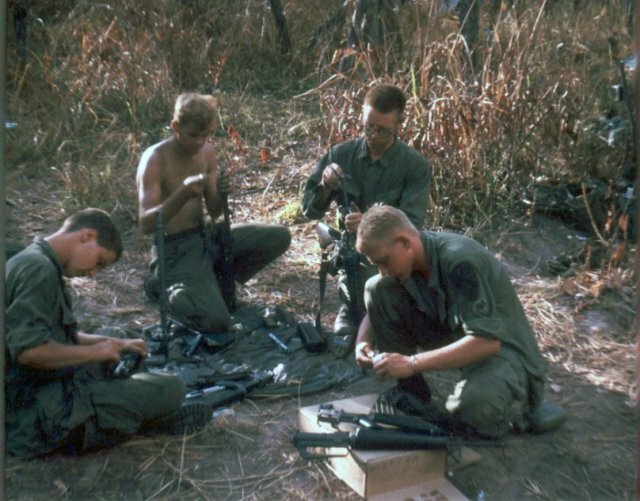 This is a typical hootch that we searched for weapons (Jan 68). 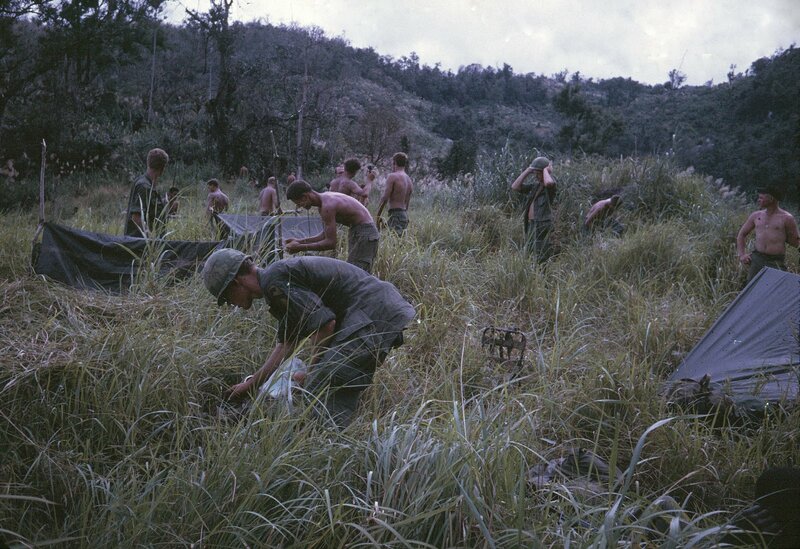 This photo shows Bravo Company heading into the bush (Jan 68). 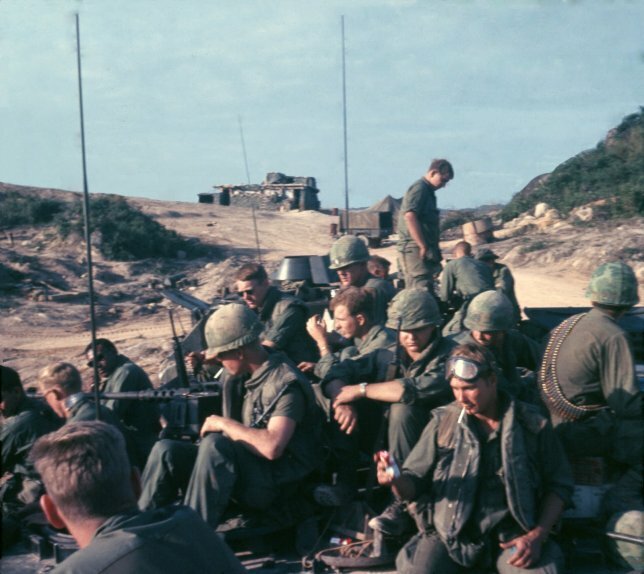 Bravo Company Cheyenne was placed under the operational control of 1st Bn, 50th Regiment (Mechanized), 22-27 January 1968, to help secure Firebase Lowboy and important bridges on Route 1. 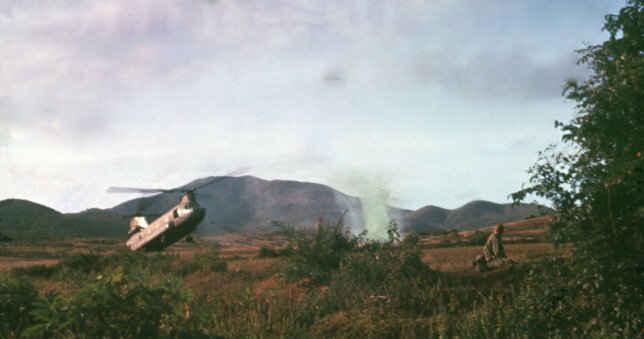 Bravo Company troopers also goofed off whenever they got a chance. 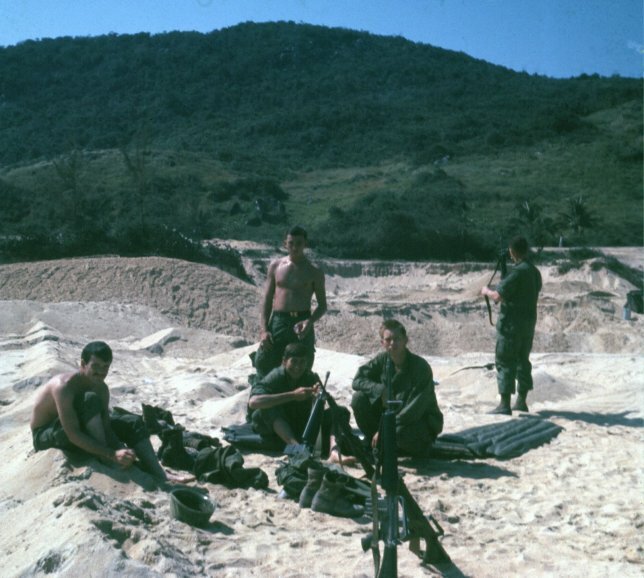 Here a group of our finest have stacked arms exactly as they were taught in Advanced Infantry Training. 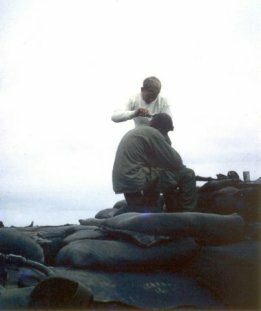 And this is why they stacked arms. 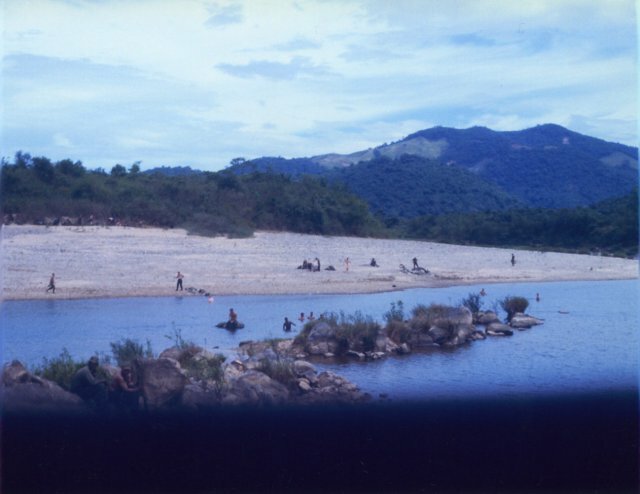 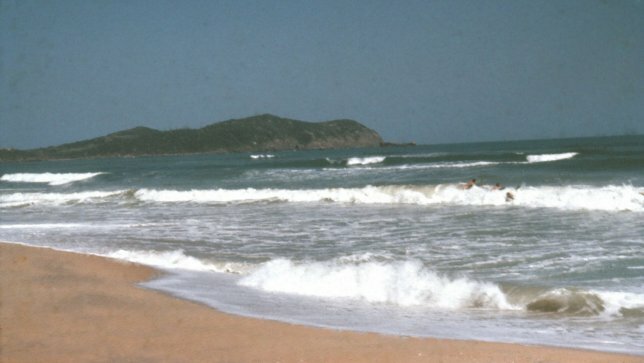 If it wasn't in the sea, then we made good use of the rivers, particularly the An Lao River. 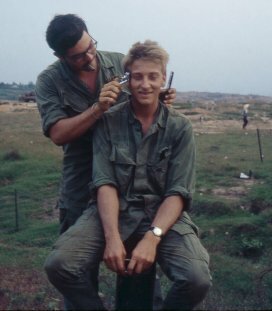 Thanks to Jim Beck for most of these photos.